This is one of those “how long is a piece of string?” type questions that website owners sometimes ask. The only honest answer is “it all depends”. To give any kind of meaningful response actually depends on knowing the answer to one important question first. What keywords or keyword phrases are you targeting and how much competition is there? Well, not really. Indeed, a lot of people may be searching for your business name but those people already know about your business by some other means. They might have heard about you through a friend or through one of your advertising campaigns. Of course, you want your site to rank well for “Acme Widgets”, but (unless your site is designed REALLY badly) that is probably going to happen anyway. Search engine optimization is all about attracting new business to your website from people who are NOT specifically looking for you. So let’s say you know your keywords. How much competition is there from other people with similar websites? In any beauty contest it helps if you are the only contestant in the room. Search engine optimization is all about attracting new business to your website from people who are NOT specifically looking for you. Let’s take an example. Every month 37 million searches are made for the keywords “Britney Spears”. Imagine how many websites are targeting some of that audience. It is going to be extremely difficult to work your way on to the front page. At the other end of the scale, let’s take the keywords “goldfish obedience training”. As you might have guessed there are not a huge number of people searching for that exact phrase. In fact it would be a very niche market indeed. BUT is also has little or no competition. In all likelihood it would be very easy to rank number one. So the ideal keyword phrase is one that has enough search traffic to build a viable business around, but not too much competition. This is where the free Google Keyword tool becomes invaluable. Just brainstorm a bunch of keywords you think your target audience might be already using and then use Google Keyword to assess how good each of those keyword choices would be. 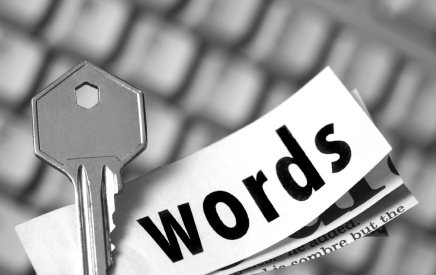 You might narrow down your keyword list to 3 or 4 keyword phrases. Probably…with planning and patience. To understand that answer it is important understand what “search engine optimization” means and how it is practiced. According to Dictionary.com, the verb “to optimize” means “to make as effective, perfect, or useful as possible”. The emphasis being on “as possible“. Search Engine Optimization is the art of boosting your site in the search result ratings to the best of it’s potential – but not a secret recipe to get your site ranked ahead of internet giants. 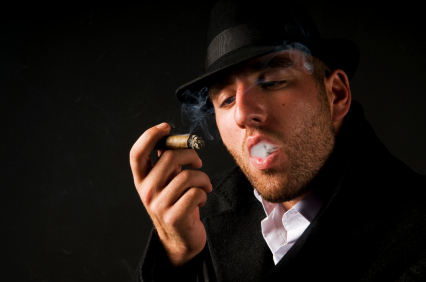 Enter, The Black Hat SEO Consultant. These are the guys who trade in shady practices and unqualified promises about what they can do for your search rankings (usually overnight). When any SEO practitioner promises to get top rankings for your site it is important to always ask how they intend to do it. If their answers are evasive then it’s best to look for alternatives. The reason to be careful is because one Black Hat SEO can wreck your business. There are certain optimization practices that search engine companies like Google frown on which might get some results in the short term but if you are found out, can get your website BANNED overnight from search engine results. It’s not really a secret. Google has published a 22 page SEO starter kit which outlines some of the basic things you and your webmaster can do to optimize your pages for the best ranking possible. An SEO consultant will appreciate how to fine tune the “on-page” aspects of your website to support your keyword targeting strategy. But it doesn’t end just there. Real SEO success stories are usually about finding creative ways of getting other sites linking to yours. This “link juice” is what can really power your site up the search engine rankings. To do that though, requires creating original, compelling, useful content that people will want to connect to. That is where the planning and patience of good SEO strategies come into play. Some examples of these kinds of legitimate “link bait” are articles, blogs, podcasts, tutorials, instruction videos etc. Create content your target audience will genuinely find useful and you are almost certainly on your way to acquiring incoming links from other websites. Also, don’t forget to put the word out. Publicize your website through social media channels like YouTube, Facebook and Twitter.